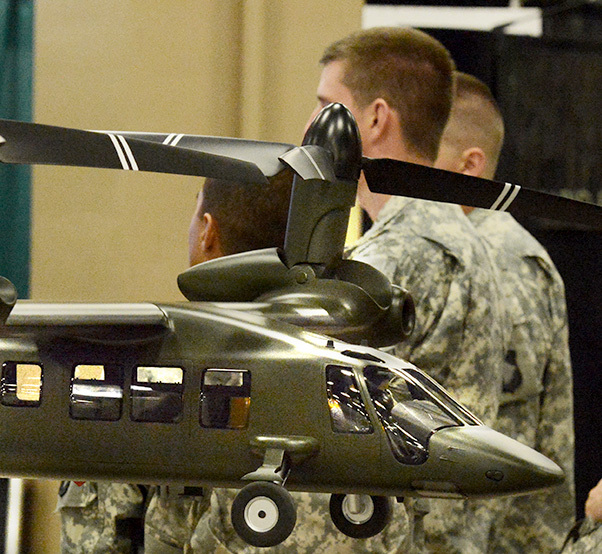 An artist’s conception of future Army rotorcraft is shown. It’s called Architecture Centric Virtual Integration Process, or ACVIP, a type of Joint Common Architecture, or JCA, and it’s so new, it’s still in the demonstration phase. Boydston — who is a project engineer for Joint Multi-Role, or JMR, Mission Systems Architecture Demonstration, or MSAD, for the U.S. Army Aviation and Missile Research, Development and Engineering Center, Aviation Development Directorate at Redstone Arsenal, Alabama, spoke Oct. 29 at the National Defense Industrial Association-sponsored 18th Annual Systems Engineering Conference about the ACVIP Shadow Effort conducted on the JMR MSAD program’s recent JCA demonstration. It’s a sole reference for the Army – which is the lead for FVL and which holds the architecture repository — as well as the other military services and contractors with their second- and third-tier vendors. 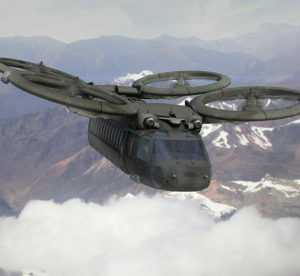 One of four Future Vertical Lift variants is shown on display at the Association of the United States Army’s annual meeting in October. “Without this single source of truth, there would be ambiguity in the design and the requirements, leading to defects, which most likely would result in major rework in later phases of the development process,” he said. Since there’s a commonality and standardization within ACVIP, communications between the acquisition and requirements community, contractors, engineers and decision makers should be a lot more effective than in previous system builds, he said, adding that he thinks this is a “paradigm shift,” a term he said he doesn’t use lightly. 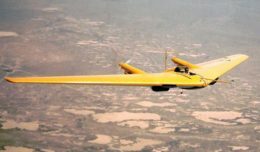 The architecture will remain intact throughout the lifecycle of FVL, Boydston said, which means most likely for the remainder of this century. Nothing will be thrown away or lost, he said. In 2008, AVSI launched System Architecture Virtual Integration, or SAVI, “to address the problem of growth in complexity in systems leading to cost and schedule overruns,” he said. ACVIP’s architecture, built two years ago, “leverages SAVI to a great extent,” Boydston said. The next step was to select a computer language. AMRDEC did a survey of several architectural description languages and found that Architecture Analysis and Design Language, or AADL, was a good language to use when describing “complex software and an intensive system,” which FVL will feature. 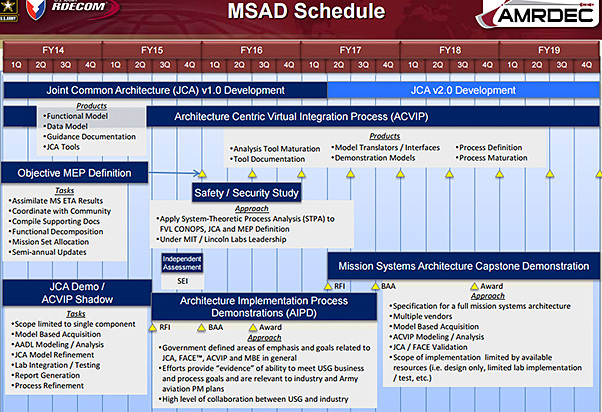 The Mission Systems Architecture Demonstration Schedule is shown. The AADL will likely be used as the modeling language and will be integrated within the software and hardware that controls FVL and its mission systems. AMRDEC is also looking at using other languages like Unified Modeling Language, he added. Getting the software right from the get-go is no small matter of importance, Boydston said. 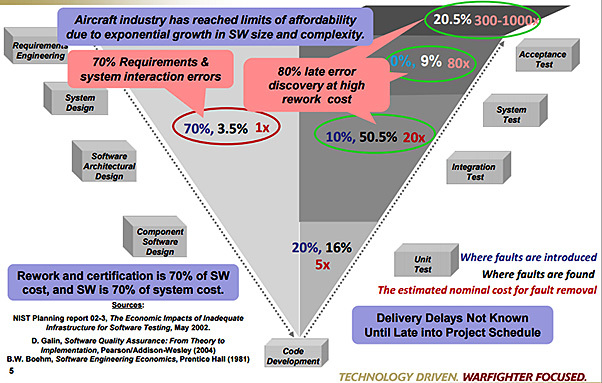 “Software interaction complexity drives system costs,” he said, noting that in 1997, software as a percentage of total system cost for the average new system was 45 percent. By 2010, it was 66 percent, and by 2024, it’s expected to be 88 percent. Much of that cost was on post unit-test software rework, he said, adding that a lot of those software problems originate early in the design phase so now is the time to get it right. Also, corrupt software can result in false positives, false negatives and untimely information, which can have “catastrophic consequences,” he said. A graphic of software cost escalation is shown. The U.S. Navy and U.S. Army were founding members of the FACE consortium in 2009. The consortium’s purpose is to establish an open software architecture to help achieve commonality. Near-term MSAD tasks for ACVIP include developing handbooks, conducting training and providing mentoring in AADL and ACVIP, standing up an ACVIP “community of practice” and providing tools for use in an upcoming demonstrations. “With the expected start of the first FVL program in the 2019 time frame, the processes, tools, standards and guidelines need to be matured, debugged, verified and validated to ensure there are no surprises,” Boydston said.